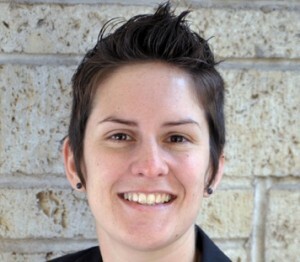 AUSTIN, TX — A United Methodist Bishop for the San Antonio area has reinstated the candidacy of a lesbian woman who is seeking to be ordained in the denomination as a deacon. Mary Ann Kaiser serves as the youth director at University United Methodist Church in Austin. She initially became a candidate for ordination in the Alabama-West Florida Annual Conference in 2008, during which time she not living as a homosexual. Kaiser later moved to Texas, where she obtained a Master of Divinity at Austin Presbyterian Theological Seminary and became active in the district chapter of the denomination. In April of this year, Kaiser revealed at a district meeting that she was involved in a lesbian relationship. She has since traveled to Maryland to “wed” her partner Annanda Barclay. Following the initial meeting, the district committee voted 6-2 to allow her candidacy to proceed, but this summer, a church board recommended that it she be removed from the list. The United Methodist Book of Discipline prohibits “self-avowed practicing homosexuals” from becoming ordained as ministers in the denomination. Kaiser’s pastor, John Elford, then made a motion to reinstate her candidacy, but was rejected. Elford continued pressing the matter, stating that Kaiser had not been fully evaluated as required by the denomination. Southwest Texas Conference Bishop James A. Dorff originally ruled the issue as moot, but the matter was sent back to him this fall for response. On Thursday, Dorff reinstated Kaiser’s candidacy, agreeing with Elford that she had not been fully examined. Kaiser issued a statement following the decision expressing her approval of her reinstatement. Reaction to Kaiser’s reinstatement has been mixed. Others noted that no woman is permitted to serve as a deacon according 1 Timothy 3:2-7.